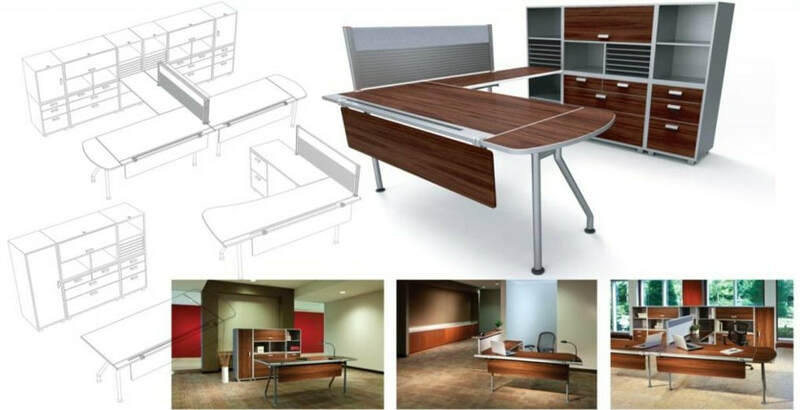 ​National brand, commercial office furniture suppliers offer systems which are out of reach for many small businesses. Many of these systems require costly professional installation. In order to capitalize on this unmet consumer need, we developed a ‘light’ commercial grade system that would hold up to national brand products, be easy to install and sell for below $1500 USD. The design needed to be user friendly enough to be assembled by small businesses and startups with basic instruction, and no tools. This also allows for easy expansion & configuration options.